Home online-video Library of the future with E-books, E-magazines and E-audiobooks! Library of the future with E-books, E-magazines and E-audiobooks! 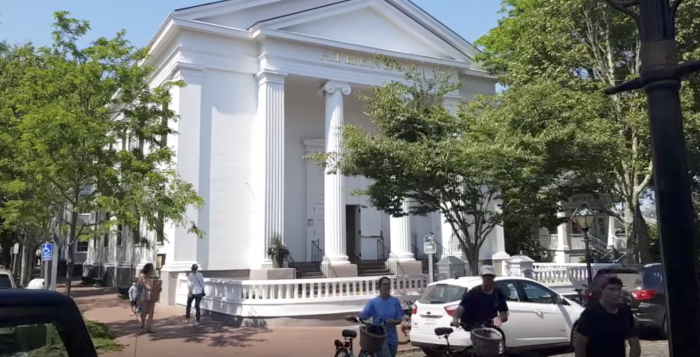 It’s everyone’s favorite place to hang out in Nantucket (US): the Atheneum library.The library has an incredible collection of fiction, non-fiction and children’s books as well as all sorts of papers and magazines. It also has a beautiful and very peaceful garden and the library is free to use for all inhabitants and all tourists who are visiting the island. This is made possible by all donations by the people who absolutely love this place. When you have signed up for a free membership you can start lending all of the books, as well as an incredible amount of E-products made available. Truly a library of the future that keeps up with the time! Biggest Ebay store for car parts ClassicMuscleParts help people all over the world complete their cars!